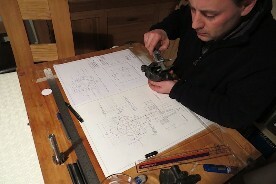 Following on from reproducing the J Type oil pump, Vintage MG Parts decided to also reproduce the P and N Type oil pump. This has been developed from our own drawings and patterns. 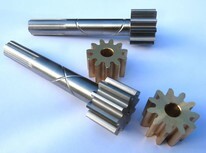 The specification of the pump gears are identical to the original factory gears with the exception of now being cut utilising state-of-the-art gear cutting technology to produce a ground-like finish to the teeth profile. These gears are only available through Vintage MG Parts, the spur gear is manufactured in a high grade stainless steel to the equivalent hardness of EN32 and in addition, the shaft of the spur gear now incorporates the original factory style figure-of-eight oil scroll. The depth of all pump gears is to the N Type specification, i.e. 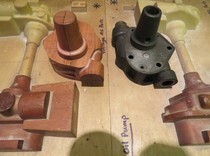 0.880 inch, and these will fit the early P Type oil pump bodies once the figure-of-eight spacer plate is removed. 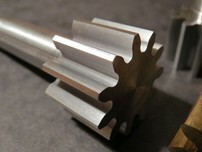 The gear chamber to each pump including the drive bore is precision CNC machined to ensure repetition of accuracy to the fine tolerances being worked to between the body and gear tip. 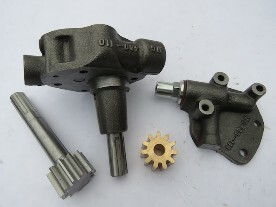 For more detailed information on Vintage MG Parts oil pumps, please refer here.